But fall is also the natural time of year when people's stress levels start increasing. Whether it's the stress of the holidays, deadlines at work or just knowing you're going to have to spend some time with that crazy drunk uncle of yours, we've pulled together seven things we like to keep in mind this time of year to help maintain that ever-important balance with mind, body and soul. Start taking a vitamin D supplement. As weather cools down and the days shorten, we get less sunshine. Getting more vitamin D can boost your immune system and has been proven to help fight the flu! Besides, vitamin D has also been shown to reduce depression and boost weight loss!! 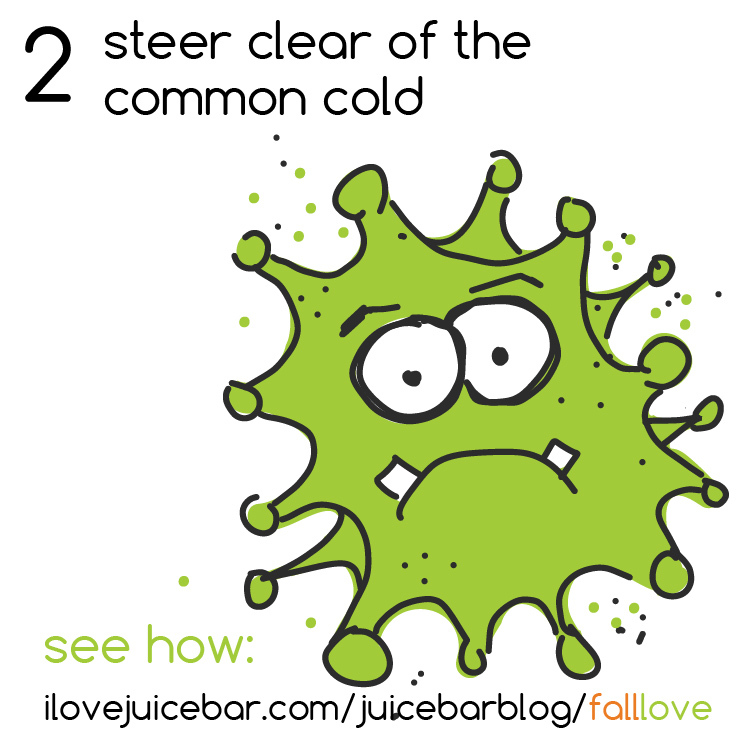 Steer clear of the common cold. More time inside means more bugs to watch out for. Make sure you ramp up your water consumption to keep you hydrated and add plenty of nutrients to your diet. For instance, one serving of seaweed has more vitamin C than an orange! That's right, we went there. Look, fall is when the heat comes on in homes everywhere - and this dry air will wreak havoc on your skin - drying it out and making it itchy. So ramp up your moisturizer routine with heavy-duty lotions and/or extra applications. Foods that naturally grow during this time of year like beets, broccoli, winter squash, pumpkin, kale and cabbage have been shown to be best foods to fill your fall nutritional needs. Not to mention, they're fresher than off-peak foods and are easier to find from local farms. And, no, pumpkin spice lattes don't count. You may not realize how often you're pulled out of relaxing moments by the 'dings' on your phone, but can tell you this - no matter how often, it's too much. So make a pledge to yourself that you'll put your phone in airplane mode during meals, workouts or even just a few hours in the middle of your day to allow you to be present in the moment. Think of taking this time away from the noise and clutter of Facebook, emails and text messages is like a little virtual spa - relaxing, centering and even a little self-indulgent. And, while you're at it, we bet there are more than a few apps on your phone that you really don't need notifications from - so turn them off. Candy Crush? Buh-bye! Make plans now for the colder months. Seasonal depression is very common and sets in as the day shortens and we spend more time inside to avoid the cold weather. Fight the cabin fever now by making fun plans for the colder months. Be it a quick weekend getaway, a weekly project night with friends or even a bedroom makeover, keeping yourself busy and active will help the time pass. Sure, we all like to contribute all year long, but this time of year it's especially important to show gratitude to the people and causes that mean something to you. But even small things help. Think of ways in which good deeds can become a regular habit - like bringing fresh-baked treats to the office, pledge to let one extra car merge into your lane or take a moment to just thank the people in your life that you may take for granted.